As early as 1900, when moving-picture and recording technologies began to bolster entertainment-based leisure markets, journalists catapulted entertainers to godlike status, heralding their achievements as paragons of American self-determination. Not surprisingly, mainstream newspapers failed to cover black entertainers, whose “inherent inferiority” precluded them from achieving such high cultural status. Yet those same celebrities came alive in the pages of black press publications written by and for members of urban black communities. 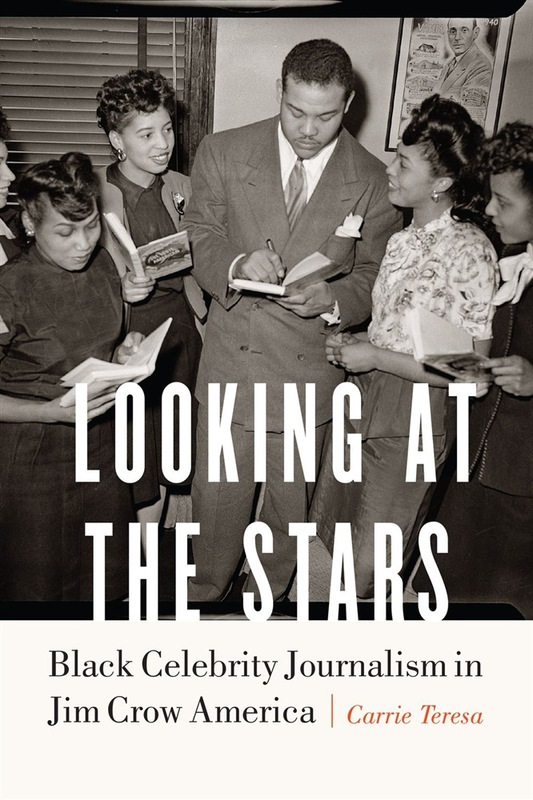 In Looking at the Stars Carrie Teresa explores the meaning of celebrity as expressed by black journalists writing against the backdrop of Jim Crow–era segregation. Teresa argues that journalists and editors working for these black-centered publications, rather than simply mimicking the reporting conventions of mainstream journalism, instead framed celebrities as collective representations of the race who were then used to symbolize the cultural value of artistic expression influenced by the black diaspora and to promote political activism through entertainment. The social conscience that many contemporary entertainers of color exhibit today arguably derives from the way black press journalists once conceptualized the symbolic role of “celebrity” as a tool in the fight against segregation. Based on a discourse analysis of the entertainment content of the period’s most widely read black press newspapers, Looking at the Stars takes into account both the institutional perspectives and the discursive strategies used in the selection and framing of black celebrities in the context of Jim Crowism. Acquista Looking at the Stars in Epub: dopo aver letto l’ebook Looking at the Stars di Carrie Teresa ti invitiamo a lasciarci una Recensione qui sotto: sarà utile agli utenti che non abbiano ancora letto questo libro e che vogliano avere delle opinioni altrui. L’opinione su di un libro è molto soggettiva e per questo leggere eventuali recensioni negative non ci dovrà frenare dall’acquisto, anzi dovrà spingerci ad acquistare il libro in fretta per poter dire la nostra ed eventualmente smentire quanto commentato da altri, contribuendo ad arricchire più possibile i commenti e dare sempre più spunti di confronto al pubblico online.